Scientists deserve public recognition. The ways that they are depicted, however, are severely limited in physical and personal traits, helping to establish and enhance stereotypes under the general title of ‘scientist’. These stereotypes range from the arrogant researcher who wants to rule the world, to the lab coat wearing ‘nerdy’ genius, but all generally fall to an extreme view of an existing perception of what a scientist should look and be like. For example, the popular image of ‘a scientist’ overlooks the presence of women almost entirely unless attributed to specific subjects and/or with narrow character depictions. The implications can be far-reaching. Young people, being heavily swayed by what they see and hear in the media, may avoid scientific careers because of these limited or unflattering portrayals of the scientific community, regardless of whether they reflect real life. 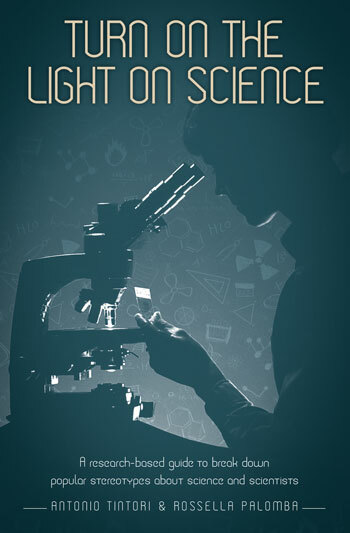 Based on findings from the Light’13 project, this book examines such stereotypes and questions whether it is possible to adjust people’s perception of scientists and to increase interest in science and scientific careers through a series of specific actions and events. Many efforts have been undertaken to address dysfunctional security sector governance in West Africa. However, security sector reform (SSR) has fallen short of radical – transformational – change to the fundamental structures of power and governance in the region. 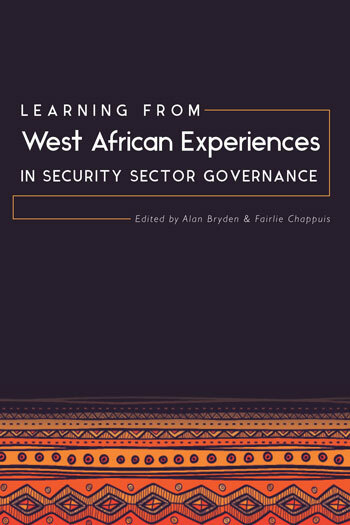 Looking more closely at specific examples of SSR in six West African countries, Learning from West African Experiences in Security Sector Governance explores both progress and reversals in efforts by national stakeholders and their international partners to positively influence security sector governance dynamics. 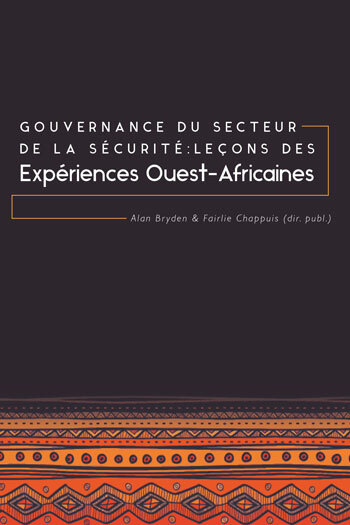 Written by eminent national experts based on their personal experiences of these reform contexts, this study offers new insights and practical lessons that should inform processes to improve democratic security sector governance in West Africa and beyond. De nombreux efforts ont été déployés afin d’améliorer la gestion défaillante du secteur de la sécurité en Afrique de l’Ouest. Mais il ne suffit pas d’instaurer une réforme du secteur de la sécurité (RSS) pour changer de manière radicale, voire transformationnelle, la structure fondamentale du pouvoir et de la gouvernance dans la région. À partir de plusieurs exemples de RSS dans six des pays ouest-africains, l’ouvrage Gouvernance du secteur de la Sécurité : Leçons des expériences ouest-africaines examine non seulement les progrès accomplis par des acteurs nationaux et leurs partenaires internationaux en vue de renforcer la dynamique de la gouvernance du secteur de la sécurité, mais aussi les revers. Rédigée par d’éminents experts nationaux, auteurs ayant puisé dans leur expérience personnelle de ces contextes de réforme, l’étude livre des enseignements novateurs et pragmatiques visant à faciliter la mise en oeuvre d’une gouvernance démocratique du secteur de la sécurité en Afrique de l’Ouest et au-delà. As we move from the era of the Millennium Development Goals (MDGs) to the Sustainable Development Goals (SDGs) it is important to consider how development agendas are set, the progress that has been made over the past 15 years, and how current debates are shaping global development efforts for the next 15. 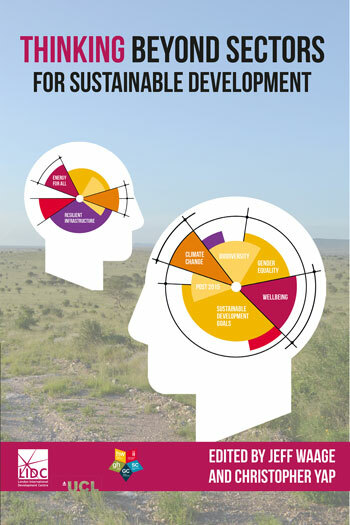 This book was, produced as part of a University College London-London International Development Centre research collaboration entitled, Thinking Beyond Sectors for Sustainable Development. The aim of the book is to provide a concise introduction to the debates in a number of vital development sectors, review progress made in each sector, and to consider how looking beyond sectors might open new opportunities for inclusive, sustainable development. 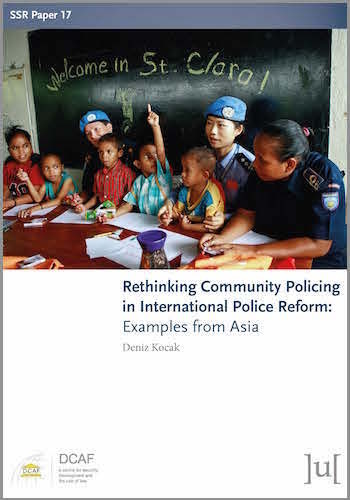 Each chapter in this book was produced collaboratively by academics from a wide number of disciplines. As such, it represents a truly interdisciplinary and inter-sectoral effort, of the kind that will be necessary for successful development and implementation of future international development goals.